A study published online in JAMA Oncology has found an association between high rates of inappropriate imaging for breast cancer and prostate cancer, diseases for which specialist physicians do not overlap. The revelation suggests that regional infrastructure and culture may contribute to the sometimes inappropriate utilisation of healthcare resources, a consideration which has implications for policymakers interested in curbing healthcare spending. 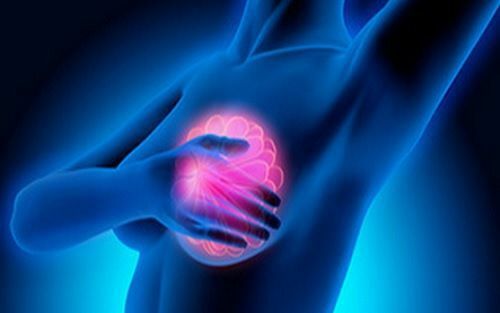 Researchers led by Danil V. Makarov, MD, MHS, of the New York University School of Medicine identified 30,398 women living with low-risk breast cancer and 9,219 men with low-risk prostate cancer in 84 hospital referral regions, using the Surveillance, Epidemiology and End Results (SEER)-Medicare linked database. One reason why they chose breast cancer and prostrate cancer was that patients diagnosed with each type of cancer would not overlap, nor would they be treated by the same specialists. The discovery of an association of inappropriate imaging between the two groups would imply that local practices influence patterns of healthcare utilisation across a range of diseases. Overall, the authors found that inappropriate imaging was widespread in both breast cancer (41.8 percent) and prostate cancer (44.4 percent). Interestingly, the rates of inappropriate prostate cancer imaging were associated with the rates of breast cancer imaging at the HRR level. That is, a man with prostate cancer was more likely to undergo inappropriate imaging if he lived in a region that had a high rate of breast cancer imaging. “Our findings suggest that practice patterns may be a function of local propensities for health care utilisation. This is a novel finding with great relevance to cancer policy. As patients with prostate cancer and breast cancer are a non-overlapping cohort treated by non-overlapping specialists, an association of inappropriate imaging between them suggests that regional culture and infrastructure contribute to health care utilisation patterns across disease,” the study concludes. Two physicians from the University of Pennsylvania, Philadelphia submitted commentary on the study’s findings. “As our understanding of explanatory factors driving regional patterns of health care continues to evolve, interventions designed to educate, enhance awareness, and support shared medical decision-making between patients and physicians are most appropriate. The Choosing Wisely campaign is a laudable example, and it will be critical for continued research to examine temporal trends in patterns of care following its implementation to assess the potential effects,” wrote Samuel Swisher-McClure, MD, MSHP, and Justin Bekelman, MD. Choosing Wisely is a national campaign that urges appropriate utilisation of healthcare resources to reduce unnecessary spending and to improve healthcare quality. One of the targeted areas is unnecessary imaging for patients with low-risk breast and prostate cancers. It is estimated that 30 percent of what is spent on healthcare in the US does not contribute to improved health for patients.